Macedonian Microfinance is a group of mainly women from the Masese slum who have used capital invested by Gateway Global Outreach via Macedonian Vision Africa, to build their small businesses. 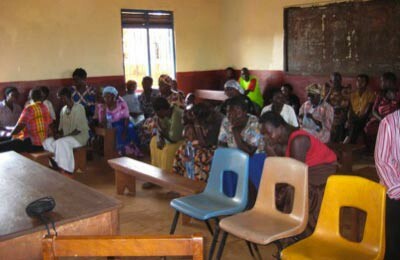 The photograph is of an initial meeting to talk through how the loans work. The project funds local children of the slum to go to school who otherwise wouldn’t be able to afford it. 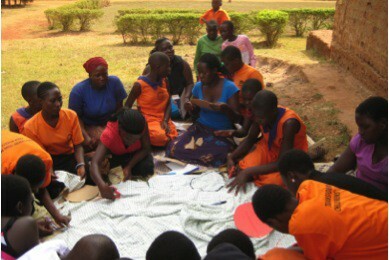 MVS is a vocational school, offering tailoring and hairdressing for young people in Masese. The girls in MAYI are drawn from the vocational course and MCOP. They meet every Saturday afternoon for sexual and social health discussion. In the photograph they are learning how to make washable sanitary towels. Transforming people’s lives. Ugandan NGO Reg.No. 9970. Unless otherwise specified all content is © Copyright Macedonian Vision Africa UK.